Greetings again from the darkness. 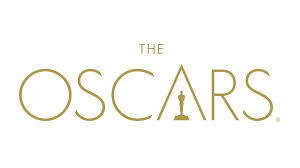 The comparisons to Crash, the 2006 Oscar winner for Best Picture, will be numerous and understandable. 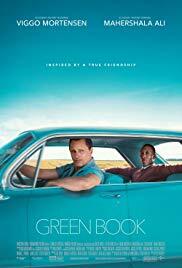 However, rather than an expose’ on racial tension, writer/director/actor Tim Blake Nelson turns his pen and lens towards the somewhat less profound, though still fruitful subject matter of suburban angst amidst the educated elite. An opening featuring a violent mugging on the stoop of a NYC brownstone grabs our attention quickly, and rather than follow the immediate aftermath, we are instead taken back in time to study the characters and events leading to that tragic moment. The tangled web of intertwined stories is made up of no fewer than fifteen different characters, each of whom is impacted by what happens in that opening sequence. 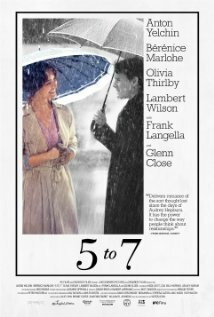 Sam Waterston plays a beloved Columbia University Philosophy Professor who is exceedingly happily married to Glenn Close. Director Tim Blake Nelson plays their son, who is married to Jessica Hecht, and together they have a teenage son and daughter (Ben Konigsberg, Hannah Marks). Michael K Williams plays a big shot attorney who forces his best friend (K Todd Freeman) into drug rehab with a renowned doctor (Yul Vazquez), while Gretchen Mol plays the mother of two daughters and wife of Corey Stoll. All of the above might seem simple enough, but Mr. Nelson’s script jumbles things up for each character … just like what happens in real life. Waterston discovers that his prized pupil (Kristen Stewart) has psychological issues and needs professional help – just as he decides it’s time to retire from teaching. While their kids are smoking pot and exploring sexual frontiers, Hecht and Nelson are dealing with a medical dilemma. 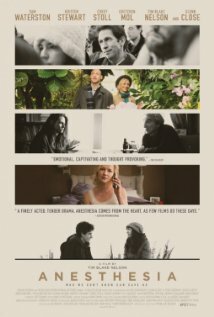 During his rehab, Freeman is quietly confronted by a nurse while being let down by his only friend; and as Ms. Mol turns to the bottle to numb her daily pain, her hubby is making plans with someone else (Mickey Sumner) … and China may or may not play a role. Whew!! Daily life creates many opportunities. Some of these turn out good, while others seem destined to create pain. It’s that pain … sometimes quite arbitrary … and how we deal with it, which is at the core of these characters and their stories. There is also the always-present quest for truth and search for the meaning of life. We know we are in for a ride when Waterston’s character says “I used to believe in nothing. 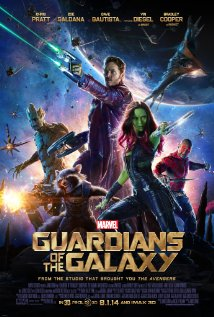 Now I believe in everything.” Worlds colliding at every turn keep the pace of the film brisk, and the familiar cast of actors allows us to easily accept each of the characters. A bit more polish on the script could have elevated this, but even as is, the film delivers a worthy punch, and has us questioning if we should be “planting cabbages” (Montaigne). Greetings again from the darkness. We are accustomed to movies with men posing as women for comedic effect … Mrs. Doubtfire and Tootsie come to mind. 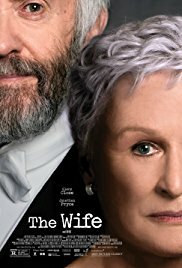 Watching an extremely serious, even bleak, film with a woman (Glenn Close) posing as a man is quite rare, and I will say, downright uncomfortable. When Albert Nobbs is described by his co-workers as a strange little man, they have no idea! The film is based on a novella by George Moore, and has been a pet project of Glenn Close since she starred in the off-Broadway play in the 1980’s. Her dream has been realized in this film directed by Rodrigo Garcia. The film has an extremely talented cast including Brendan Gleeson as a doctor, Bronagh Gallagher as Mrs Page, Mia Wasikowska, Aaron Johnson and Brenda Fricker as hotel staff, Pauline Collins as the hotel proprietor, and Jonathan Rhys Meyers as a frequent hotel guest. The song over the closing credits (co-written by Ms. Close) is sung by Sinead O’Connor. Beyond that fabulous cast, the only thing that really makes the film worth watching is the curious performance of Ms. Close as Albert Nobbs and the much more colorful and lively turn by Janet McTeer as Mr. Page … the only one (we know of) who can understand what Albert is going through. Both are nominated for Oscars. During the film, we get the personal story from each of these characters on why they made their choice, but Albert’s story is a bit muddled. He/she seems to have just fallen into the life and been unable to stop for the past 30 years. Now, Albert has a dream that can only be achieved through the wages earned as the non-descript, efficient waiter in an 1890’s Dublin hotel. There are many painful scenes to watch, but none moreso than Albert courting Helen so that he can have a partner for his new business. He has no idea how a real relationship works or why people are attracted to each other. Albert just sees Helen as a means to an end, and is following the blueprint set by Mr. Page. Some will enjoy this much more than I, as the thought of pretending to be someone you aren’t for 3 decades is just more than I can even comprehend. When Gleeson’s doctor spouts that he has no reason why people choose to lead such miserable lives, I concur whole-heartedly.